Build a fully integrated financial statement projection model with income statement projections, a self-balancing balance sheet, an automated cash flow statement, and the balancing cash flow sweep/debt schedule. While knowledge of advanced accounting concepts is not required for this course, you should possess knowledge of basic accounting ratios and a basic understanding of how the major financial statements are inter-related. Emphasis is placed on the integration of the major financial statements and becoming experts in Excel. Incorporate different methodologies to forecasting the different types of assets on the balance sheet and compare and contrast with projecting liabilities. Learn how to balance a model utilizing the debt sweep and the revolver and not using any “plugs”. Appreciate the danger of and properly control for circular references. Avoid messy nested “if” statements!! You will leave the classroom with a fully constructed model that can be customized and applied to other companies. The final model is a fully scalable model that can be added upon. How do you project the shareholders’ equity account? Balance the model using the debt schedule and debt sweep logic – the most important analysis in terms of balancing the model!! Avoid messy nested “if” statements!! How does the BS and financial statements balance without the use of “plugs”? Prerequisite: Intermediate proficiency using Excel and a solid grasp of basic accounting fundamentals is required. This Financial Modeling class is a fast-paced, hands-on, technical workshop. Lack of basic Excel skills will impede your ability to effectively acquire and implement the techniques and shortcuts that are presented in this program. Bring your PC laptop with Microsoft Excel installed and a working USB port. (Macs with Office 2008 will not be as effective). Laptops will not be provided. 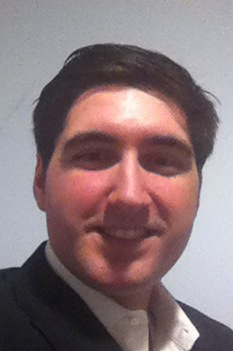 Agenda: Class starts promptly at 9:00 a.m.
Ted Michaels has a broad background with the financing and operation of businesses, with a particular emphasis on education, real estate, and special situations investing. His current focus is on the acquisition and turnaround of distressed real estate and real estate backed investments. He has extensive experience in valuation and modeling methodologies and his responsibilities have included operational & strategic plan development and implementation, as well as deal origination, analysis & evaluation, structuring and financial modeling. As a vice president at WST, Michaels has led and assisted instruction on a wide variety of topics ranging from corporate valuation, to merger & acquisition deal structuring and leveraged buyouts. In this capacity he has taught at numerous universities throughout the United States and Canada as well as at major industry and financial services firms. 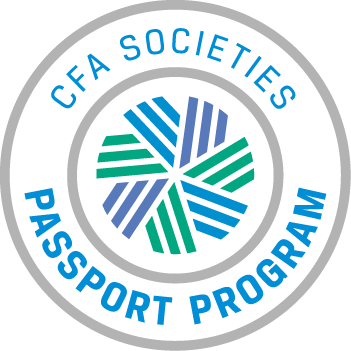 Student rate only available to students approved as a Student Member of CFA Society Chicago for 2017-2018. Credit card is required to guarantee ALL reservations, no function tickets accepted. Day-of-event registrations accepted on-site only if applicable and space available. There is a $10 surcharge for walk-ins. Visa, MasterCard, American Express, Discover and Diners Club are accepted. Cancellations accepted until 5:00 pm, December 6th.